Bob Lutz: Adds automotive clout to the board of startup Transonic Combustion. 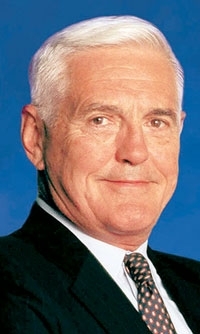 DETROIT -- Bob Lutz, former vice chairman of General Motors Co., has joined fuel-injection systems startup Transonic Combustion Inc.’s board of directors. Lutz retired this month after nine years at GM. He had served as a top auto executive since the early 1970s, with positions at BMW, Ford Motor Co. and Chrysler. Lutz is the second former GM executive to join Transonic’s seven-member board in the past week. On Thursday, the startup said former GM engineer Don Runkle had joined its board. Runkle’s 31-year career at GM included stints as vice president of advanced engineering and chief engineer of Chevrolet. He later worked for Delphi Corp., retiring in 2005 as vice chairman and chief technical officer. Transonic, founded in 2006, is in pre-contract talks with four automakers, spokesman Eric Sharp said. Its headquarters is in Camarillo, Calif., northwest of Los Angeles.